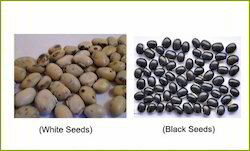 We offer Black and White Mucuna Seeds in bulk packing. Kapikacchu – Mucuna pruriens is a very famous multi-faceted herb of Ayurveda, with immense health benefits. We have small kaunch in bulk. Our company is listed amidst the most dependable Mucuna Pruriens Extract Manufacturers and Suppliers, based in India. We provide the finest quality of Mucuna Pruriens Extract in the national as well as international market. Mucuna Pruriens Seed offered by us is available with L-dopa content ranging from 10% to 80%. 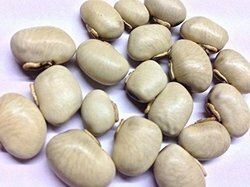 We are a leading suppliers, actively involved in providing a wide range of products including Kaunch Beej Seed that meet on customer's demand. We are involved in offering Mucuna Pruriens to our clients. These are highly demanded for Antidiabetic, , Antineoplastic, Antiepileptic and Antimicrobial activities. A wide range of phyto chemical constituents of seeds enables them to be used in treating certain incurable diseases like Parkinsonism. Mucuna pruriens, also known as cowhage, and velvet bean contains a very powerful neurotransmitter pre-cursor l-dopa. Mucuna pruriens is a reputed remedy of ayurveda in nervous and diseases.